Author: Moore, Christopher G. Set In . . .
Memory Manifesto’s 35 short chapters reveal Christopher G. Moore’s paths inside Cambodia labyrinth as a working journalist, novelist, and essayist as he finds his way through T-3 prison, Khmer Rouge minefields, border refugee camps, in the company of activists, artists, film makers, musicians, and writers. 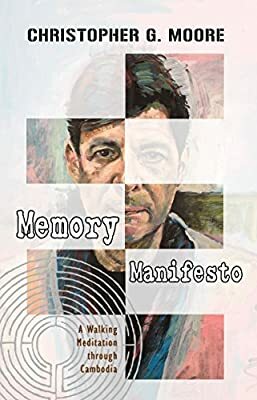 The overall effect is a vision of one writer’s life as shaped by the process of memory, myth-making, labyrinths, infinities and flights of imagination.